We Keep It Simple. One Plan, Pay As You Go. $20 Per Month - With an option to add an In-Store Kiosk. Our mobile plan is designed to target your customer's smartphones. The Mobile Marketer focuses on quick customer responses and high redemptions to help build your bottom line. 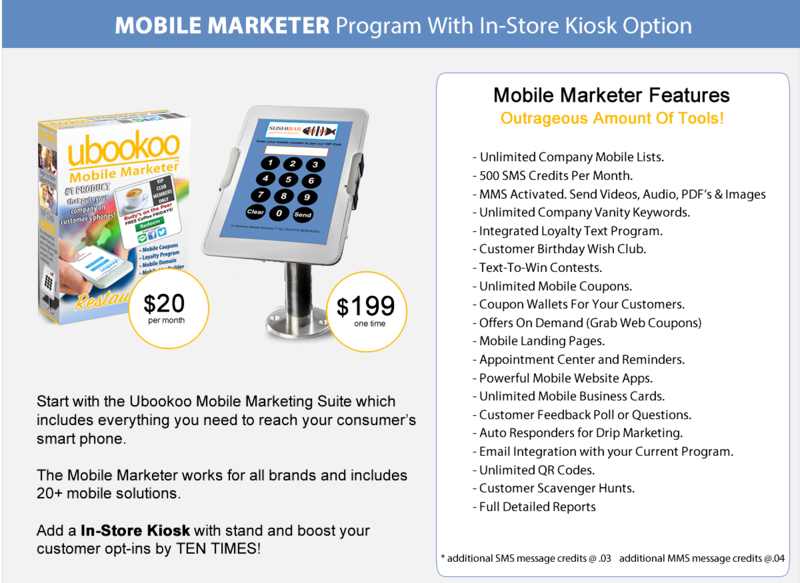 Choose the Mobile Marketer as a stand alone or add an in-store Kiosk to mazimize your customer opt-ins. The Kiosk is highly recommended.